Nearly two decades after its initial publication, this behind-the-scenes tale reappears in paperback (after all, didn't Rolling Stone say it would "sell forever"?). 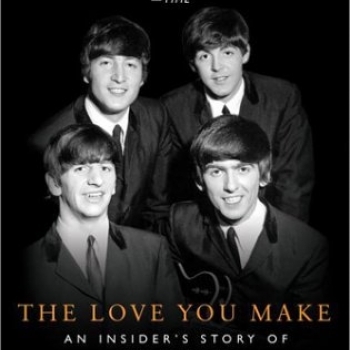 One of the suit men--as the Beatles dismissively, often with good reason, called the folk who saw to their business affairs--recreates the well-known saga of Beatlemania but does it dispassionately enough to make it interesting. Brown, who directed the Beatles management firm NEMS and later their disastrous financial organization Apple, seems to have survived the experience unscathed, the purges, rancor, glamour, notoriety, the dishonesty, jealousy and infighting among all those who wanted a piece of the action, or a bigger cut, which eventually came to include the musicians themselves as the group began to split apart. 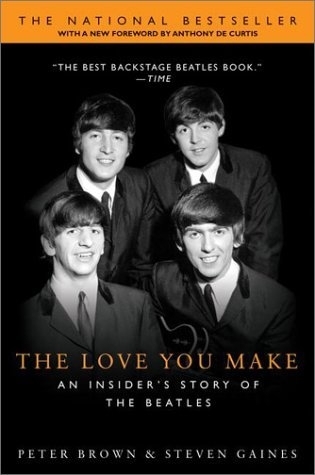 While seeming to be objective, he leaves little doubt about his preferences as he discusses the Beatles individually, their parents and in-laws, wives and lovers, probing the personalities to show us the underside of the pop culture with its sleazy pursuit of the big buck. There are revelations about John and Yoko and about their drug addiction, but the material is otherwise pretty familiar. Still, it's a dramatically good story and Brown catches us with the headiness of it all--and Gaines's now well-known name and a new foreword by rock critic Anthony DeCurtis may spark a little extra interest. Foreword xi Introduction xix Chapter One 1(27) Cynthia Lennon's Rude Awakening Romance Blooms in Liverpool John Lennon's Childhood: Double Desertion Aunt Mimi and Mendips The Skiffle Craze John Meets Paul McCartney Paul as a Young Boy Chapter Two 28(22) The Scene at the ``Jac'' Stu Sutcliffe Baby George Harrison Joins the Beat Scene Johnny and the Moondogs on the Circuit Hamburg, a Sexual Disneyland Johnny and the Moondogs Become the Beatles Return to Liverpool and a New Professionalism Chatper Three 50(26) Brian Epstein: A Stranger in a Strange Land Brian Discovers the Beatles Brian Smitten Under New Management: The Big Image Change The Recording Contract Cynthia's Desperate Play John Marries Cynthia Chapter Four 76(17) Pete Best Forever---Ringo Never Richard Starkey's Bit Part ``From Me to You'' The NEMS Stable Begins Julian Lennon Is Born Brian and John Tryst in Spain Paul Meets Jane Asher Ringo Meets Maureen Cox Chatper Five 93(11) London: Sunday Night at the Palladium and the Royal Command Performance Brian to New York The Beatles and Company Move to London Chapter Six 104(15) An American Beachhead: The Ed Sullivan Show The Seltaeb Fiasco Chapter Seven 119(16) Swinging London A Hard Day's Night George Meets Pattie Boyd John In His Own Write Brian's Cellarful of Noise Paul's Pocketful of Lawsuits Chapter Eight 135(16) The Bon Voyage Party First American Assault Bob Dylan and the Great Turn-On Nat Weiss Brian Blows a Fuse Chapter Nine 151(18) Kenwood Ringo Becomes a Daddy Help! and the Great Tax Dodge Have a Sugar Cube NEMS Branches Out The Saville Theater Brian's Discontent: Enter Dizz The Beatles at the Palace Chapter Ten 169(12) Aunt Mimi Gets a House The Second American Tour The L.A. Acid Trip Dizz Gets a Car Chapter Eleven 181(20) Splitting Up the Pie From Black and White to Color: Rubber Soul and Revolver Tokyo and Manila: Terror on the Road Brian's Balance Tips The ``Bigger than Jesus'' Scandal The Beatles' Third American National Tour Dizz Gillespie's Coup de Grace Chapter Twelve 201(18) The Four-headed Hydra John's Discontent On the Loose in London Magic Alex John Meets Yoko Ono Brian's Downhill Slide The Stigwood Deal Chapter Thirteen 219(32) Paul Discovers America Brian's Sleepless Sleepcure Sergeant Pepper's Lonely Hearts Club Band The Arrival of Linda Eastman The Kingsley Hill Acid Party The Haight-Ashbury Hate Trip The Beatles Go Greek The Beatles Go India: Introducing the Maharishi The Final Demise of Brian Epstein Chapter Fourteen 251(19) The Magical Mystery Tour The Seeds of Apple From Here to the Himalayas: The Untold Story of Rishikesh Escape from India John's Confession D'Amour Chapter Fifteen 270(21) Yoko in the Limelight A Messy Divorce John and Yoko Retreat: The Heroin Days Paul McCartney's Black and White Minstrel Show Jane Asher Makes a Nasty Discovery The Apple Pie: A Piece for Everyone The White Album Chapter Sixteen 291(10) Targets of the People: John and Yoko on the Cross Two Virgins Won't You Please Let It Be Chapter Seventeen 301(24) Eastman and Eastman Meet the Beatles Allen Klein Meets the Beatles and Eastman and Eastman The NEMS Battle The Setup of Pattie and George John and Yoko's Quickie Wedding Peace: The Amsterdam Bed-in A Call to Arms: The Northern Songs Battle The Only Winner Is Klein Chapter Eighteen 325(28) The Power of Publicity: John and Yoko Go Public ``Cold Turkey'' Toronto Rock and Roll Festival John Off the Edge In Pursuit of Peace and Kyoko in Denmark John Discovers Dr. Janov John and Yoko Discover L.A. Paul Is Dead but Alive and Well in Scotland McCartney, Abbey Road and Let It Be And in the End Chapter Nineteen 353(22) George, Ringo, and Paul---From Then Till Now Chapter Twenty 375(21) The Search for Kyoko John and Yoko Discover New York John and the White House Follies Uncle Sam Wants You Out Paranoia Runs Deep The L.A. Lost Weekend: 18 Months in Hell Together Again Chapter Twenty-One 396(11) The Househusband Years: John as a Father The Dakota Hermitage The Big Comeback: Starting Over Mark David Chapman The Spirit of Yoko Ono Index 407 SynopsisA close friend and business manager for the legendary group portrays the personal lives of the members of the Beatles, from their youth in Liverpool to their rise to success in the world of pop music to the death of John Lennon in 1980. Reprint.